In memory of it being 13 years since a September 11th that many of us will never forget, I thought I would say something to all of you. 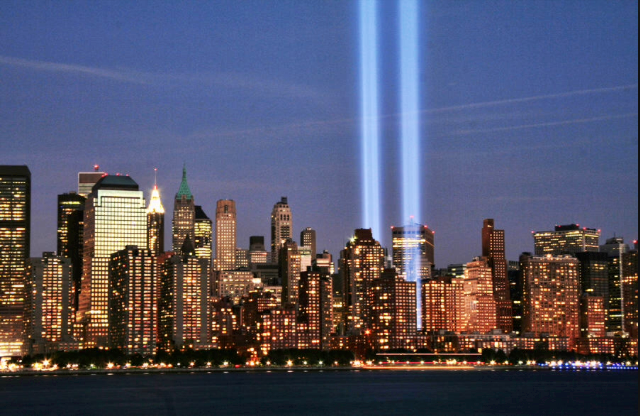 It has been 13 years…13 years since one of the most horrific things in America has ever happened. Innocent people lost their lives. People who did not deserve to die, died. People who saw their family members that morning not knowing they would never get to return home that night. People who called while in the towers to say their last goodbyes and tell their family and friends that everything was going to be okay even though they knew it was not. Firemen, police, EMTs, citizens- all helped out that day. I was only four when September 11th happened and did not know what was going on. I have learned from teachers and loved ones what this day means. I cannot even begin to imagine a victim’s pain. My heart goes out to all the victims, their family & friends. Let us all NEVER forget what September 11th really means.